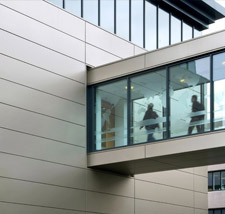 Rainscreen cladding is the attachment of an outer skin of rear-ventilated cladding to a new or existing building. The system is a form of double-wall construction that uses an outer layer to keep out the rain and an inner layer to provide thermal insulation, prevent excessive air leakage and carry wind loading. The outer layer breathes like a skin while the inner layer reduces energy losses. The structural frame of the building is kept absolutely dry, as water never reaches it or the thermal insulation. Evaporation and drainage in the cavity removes water that penetrates between panel joints. 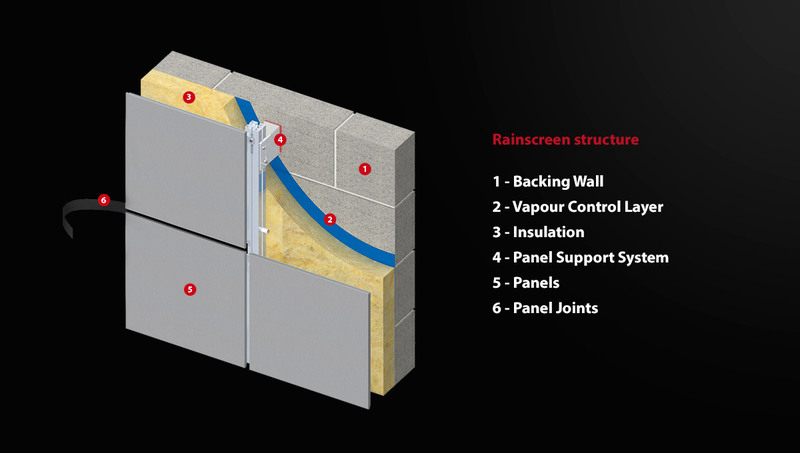 Water droplets are not driven through the panel joints or openings because the Rainscreen principle means that wind pressure acting on the outer face of the panel is equalised in the cavity. Therefore, there is no significant pressure differential to drive the rain through joints. 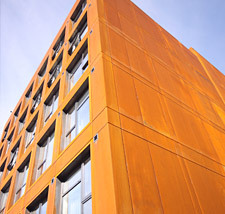 During extreme weather, a minimal amount of water may penetrate the outer cladding. This, however, will run as droplets down the back of the panels and be dissipated through evaporation and drainage. 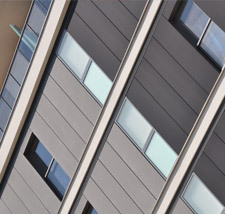 The majority of Proteus Rainscreen cladding systems are baffle jointed systems, drained and ventilated; this combination of drainage openings and ventilation openings allow air to circulate and dry the cavity between the inner and outer seals.